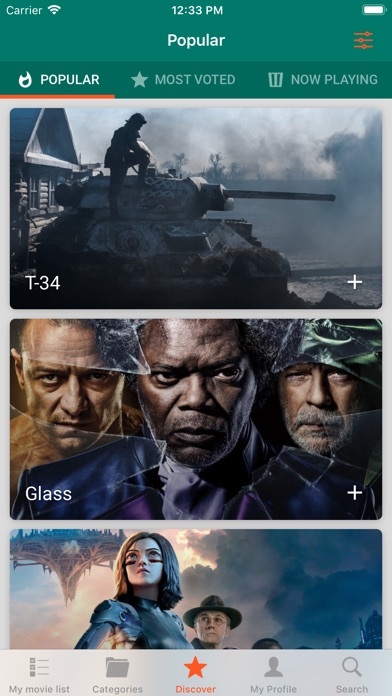 This app does NOT let you watch full movies. Please read the description below before leaving a review. Has it ever happened that you were advised a movie, and you forget the title afterwards? 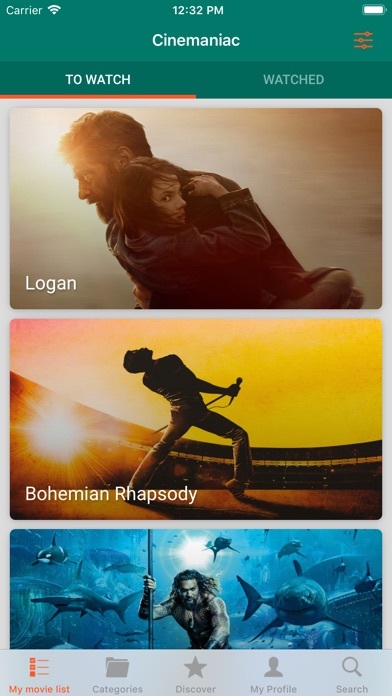 Cinemaniac is your digital notebook, on which you can search, find and add in any moment any title of any movie you want to see. You noticed an interesting movie at the cinema, but you're late, you're going to work or to the grocery store or to an important meeting? No panic: Cinemaniac is the solution for you! 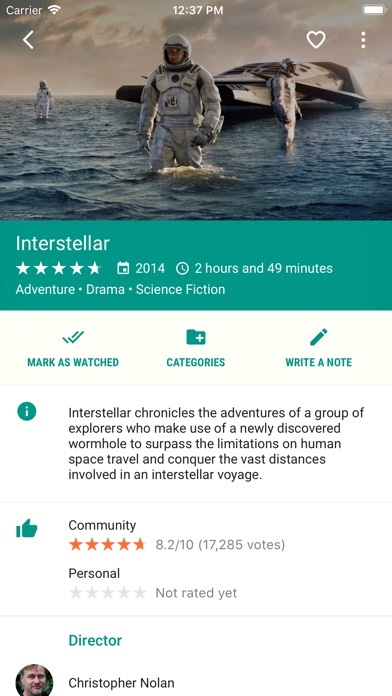 Add the title to the “Movies to watch” list in the app, and from there you can find it at any time: in the evening, on weekends, during leisure time, alone and in company. You can see all the relevant details for any movie: plot, year of release, genre, length, trailer, cast, director, rating of users, production company, budgets, collections, similar movies and much more! After seeing the movie, you can move it to the “Watched movies” list, and if you want you can leave your own personal grade. If you need some inspiration you can browse through the various lists to find suggestions on the most popular and top rated movies. You can also refine your search by filtering movies by genre and year, according to your preferences. It will be easy for you to browse all the top rated movies, of your selected type. Moreover, if you often visit cinemas, you'll find a specific list relative to currently projected movies and upcoming titles. It should be noted that this app does not offer streaming of copyrighted content Relevant features: - Search for movies by title - Search for movies by a particular actor or director - Rate the movies you liked - View YouTube trailers - Add personal notes on your movies - Share the movies with your friends - Create your favorite movie list - Manage your custom categories - Stunning cover images for every movie - Browsing movie lists: popular, most voted, now playing and upcoming releases - Filter movies by year or genre, sort them by popularity, revenue or number of votes - Choose whether to include adult content - Know about the time spent watching movies - Statistics on your favorite genres and votes Constantly updated!